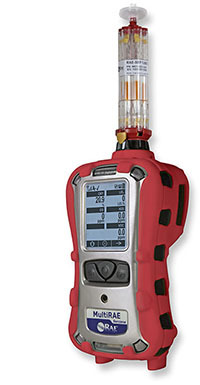 Multi-gas monitors with PID allow you to detect VOC and toxic gases with other gases. They come in compact hand-held sizes ideal for personal protection and spot monitoring, or larger, transportable versions for area monitoring. Wireless capability for worker protection and safety provides real-time access to instrument readings and alarm status. 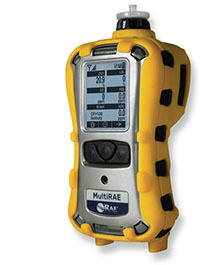 The MultiRAE is the most advanced portable chemical detector on the market. 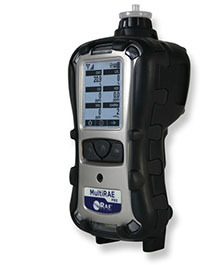 The MultiRAE delivers the broadest PID sensor range in its class and the versatility to support over 25 intelligent interchangeable sensor options (such as PID, NDIR for combustibles and CO, ammonia, chlorine, formaldehyde, and phosphine) to fully meet the monitoring needs in a variety of applications, including industrial hygiene, personal protection, leak detection, and HazMat response. The MultiRAE's wireless capability elevates worker protection by providing safety officers real-time access to instrument readings and alarm status from any location for better visibility and faster incident response. 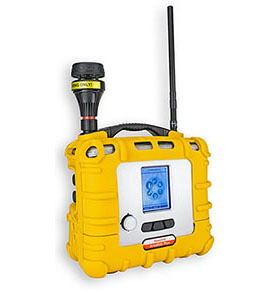 The MultiRAE Lite is an optimal one-to-six-gas monitoring solution for personal protection (including confined space entry) and multi-gas leak detection applications. Available in pumped and diffusion versions and featuring the broadest selection of sensor options in its class, it can be configured to exactly meet the needs and compliance requirements of various countries, industries, and applications. The MultiRAE Lite's wireless capability elevates worker protection to the next level by providing safety officers real-time access to instrument readings and alarm status from any location for better visibility and faster incident response. 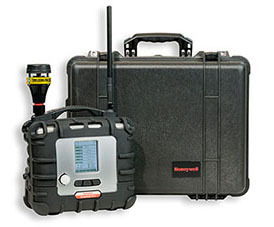 The MultiRAE Pro is the industry's first wireless multi-threat detection tool that combines continuous monitoring capabilities for gamma radiation, volatile organic compounds (VOCs), toxic, combustible gases, and oxygen, with Man Down Alarm functionality in one highly portable instrument. The MultiRAE Pro's wireless capability elevates worker protection to the next level by providing safety officers real-time access to instrument readings and alarm status from any location for better visibility and faster incident response. The MultiRAE Benzene is the first gas monitor that includes up to 6-gas detection and real-time wireless capability, plus benzene-specific snapshot measurement. The MultiRAE Benzene monitor combines the ability to make quick benzene-specific assessment measurements with the advantages of a versatile multi-gas monitor that supports intelligent interchangeable sensor options.